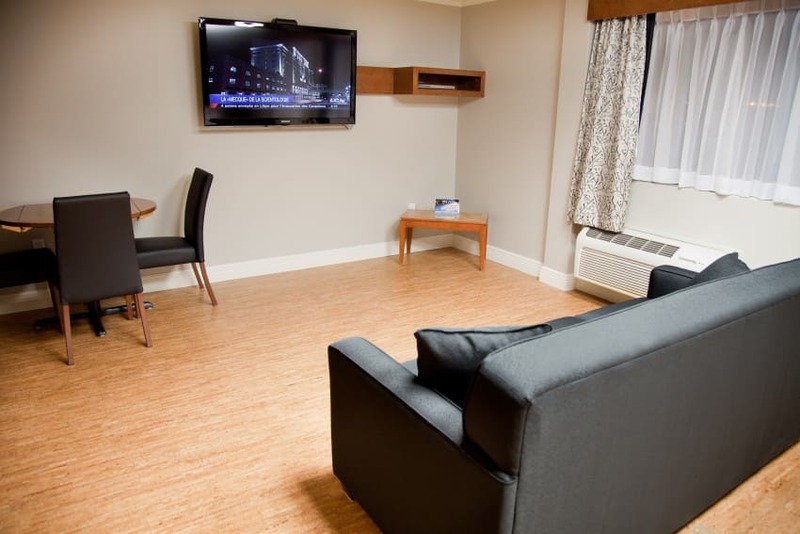 Hotel & Suites Le Dauphin Quebec’s Corporate Suite offers 388 square feet (36 square metres) of space to meet your every need. 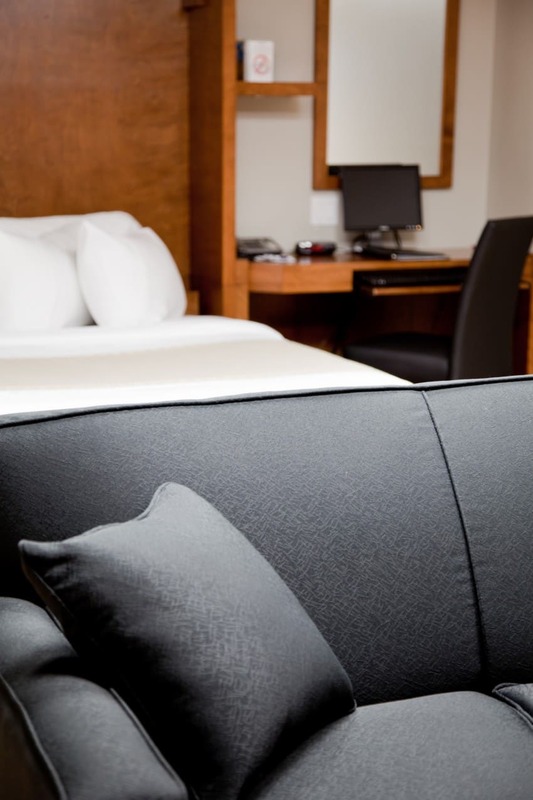 This prestigious environment combines comfort, style and elegance for a business stay that will live up to your expectations. 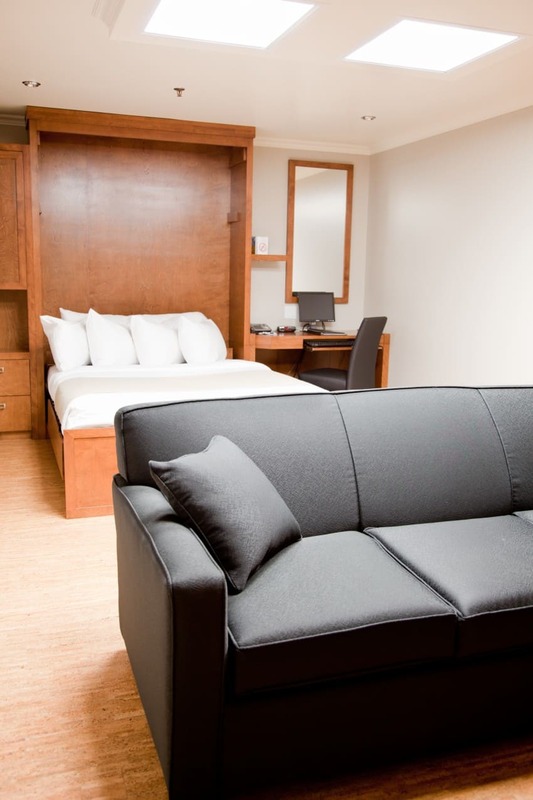 You and your associates will also have access to all the amenities offered by our hotel in Quebec City. Go for it! 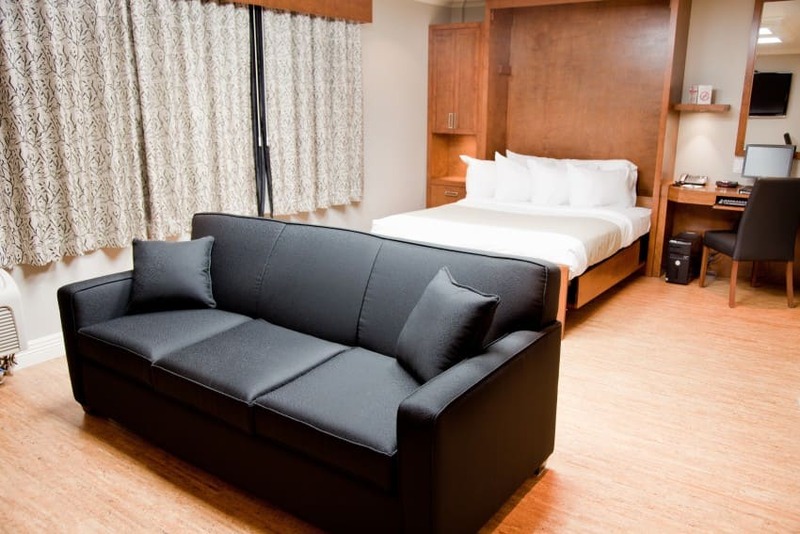 Learn more about the Hotel & Suites Le Dauphin Quebec’s Corporate Suite.